We had wonderful participation in our annual Spring Recital which took place this afternoon at Metroplex Piano. The students have worked hard all year and deserve much applause and appreciation for what they have accomplished. I have listed the students (alpha) below along with the awards and achievements they have received this teaching year. A few students, who were unable to participate today, are listed as well. An explanation of the awards given follows the list of students. The Fall Festival features piano literature from different periods of music history. Each year a different era is presented. In 2015 Fall, the Festival featured piano pieces written from the 20th and 21st centuries. Students earn certificates and points for trophies. This is a non-competitive piano performance. Superior with Honor - the student presented a musically inspired and poised performance. This rating reflects thorough preparation and attention to the details of the musical score. Superior - a well-prepared performance that displays musical refinement, continuity, and attention to detail. However, the performance is not worthy of the highest rating due to some performance flaw or lack of that extra “sparkle” associated with inspired playing. Student pianists perform with 15 Yamaha Clavinova Pianos on the stage. 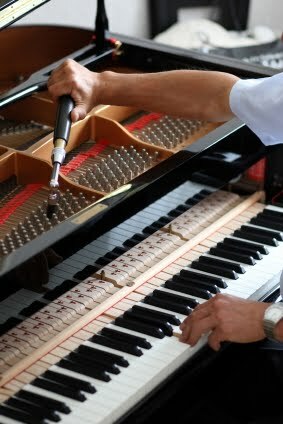 Each Clavinova is set to perform a particular instrument. The result is a small symphony created by Digital Pianos. 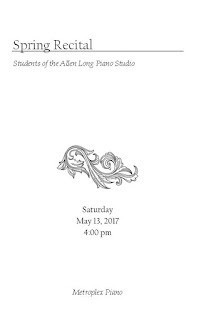 This Certificate acknowledges the number of years a student has studied in the Allen Long Piano Studio. This program provides a nationally recognized standard of musical success through an effectively sequenced course of study from beginning to advanced levels. Students who desire such national recognition of their development as a pianist can enter the program through the Allen Long Piano Studio. This Festival features the wonderful piano literature on Sonatas and Sonatinas. Composers have for used these musical forms to organize their musical compositions for close to 400 years. Students earn certificates and points for trophies. This is a non-competitive piano performance. The TMTA All-Star Festival is a fun, noncompetitive TMTA State Convention performance event. Students who have received a rating of Superior with Honor or Superior are eligible to participate. Students will receive a critique and a gold medal for a Superior rating or a silver medal for an Excellent rating. 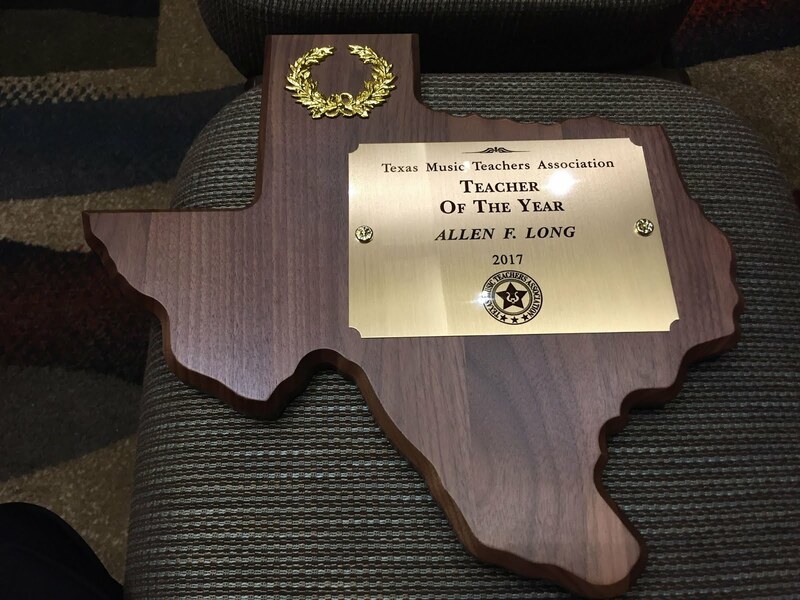 This competition is the first step in qualifying for regionals, semi-finals and finals in the Texas Music Teachers Association State Contest. Students entering this competition demonstrate high performance and interpretive skills at the piano. These tests are named in honor of Dr. E. Clyde Whitlock, a charter member of TMTA and a distinguished music educator and critic. 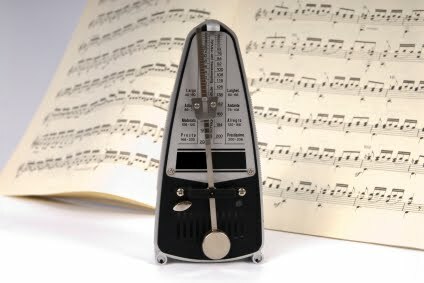 In preparation for these tests, students learn the elements of music composition. Those who are testing at their grade level can earn points towards scholarship and medals. Scores of 98 or higher earn the gold medal; 94—97 earn the silver medal; and scores of 90—93 earn the bronze medal. This is a non-competitive type of audition held in the mid-winter season of each year. These auditions are designed for the benefit of piano students, and their purpose is to offer awards and recognition to the pupils of average ability as well as to the more talented. Each student prepares 3 different pieces from different historical periods of music. They are evaluated on their effectiveness in interpretation and performance skills. Students earn points for trophies and scholarship and can receive a Superior with Honor rating to earn a gold pin. Students receiving a Superior rating receive a silver pin. Students create and perform their own orchestration of a solo piece by playing on the Yamaha Clavinova Digital Piano.